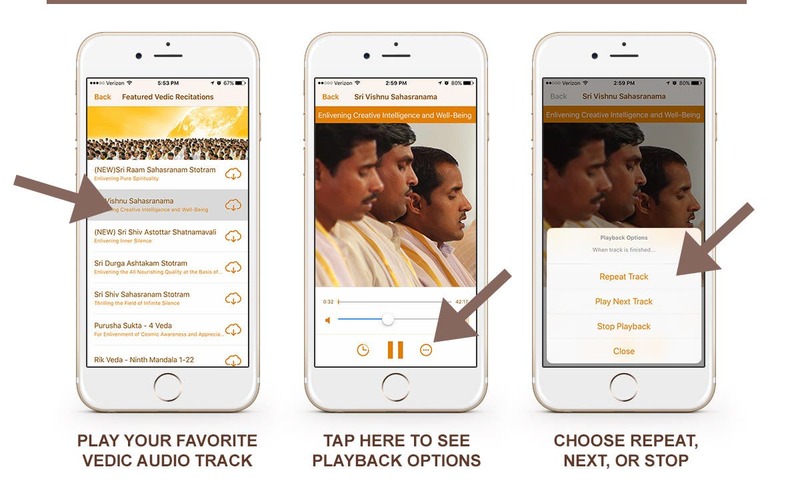 The New Maharishi Veda App Features Have Arrived! 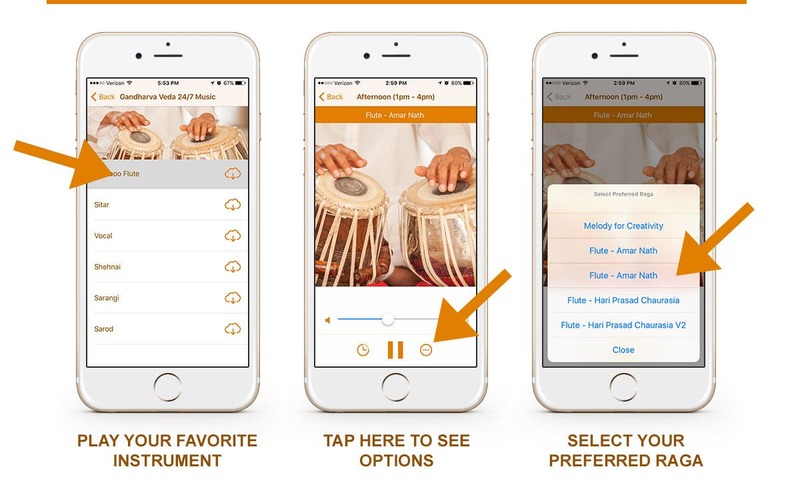 Greater variety of Ragas, new offline listening opion, choose your favorite instrument, and more. 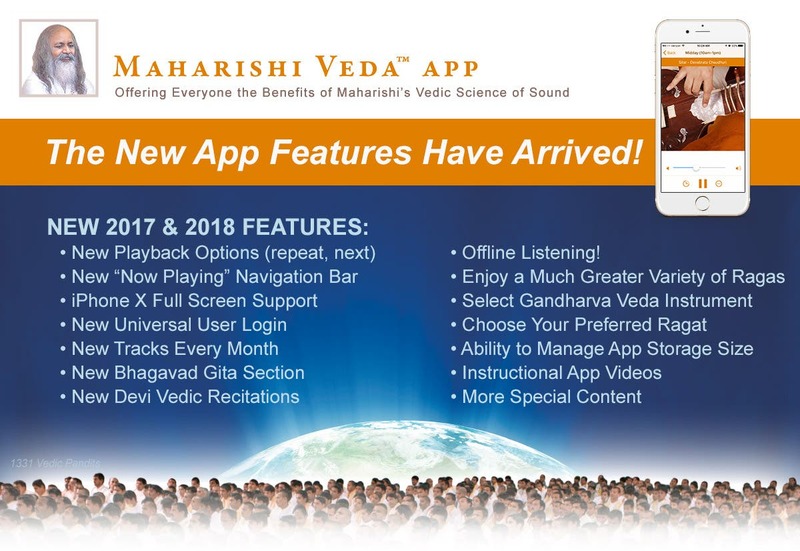 Offering Everyone the Benefits of Maharishi’s Vedic Science of Sound. 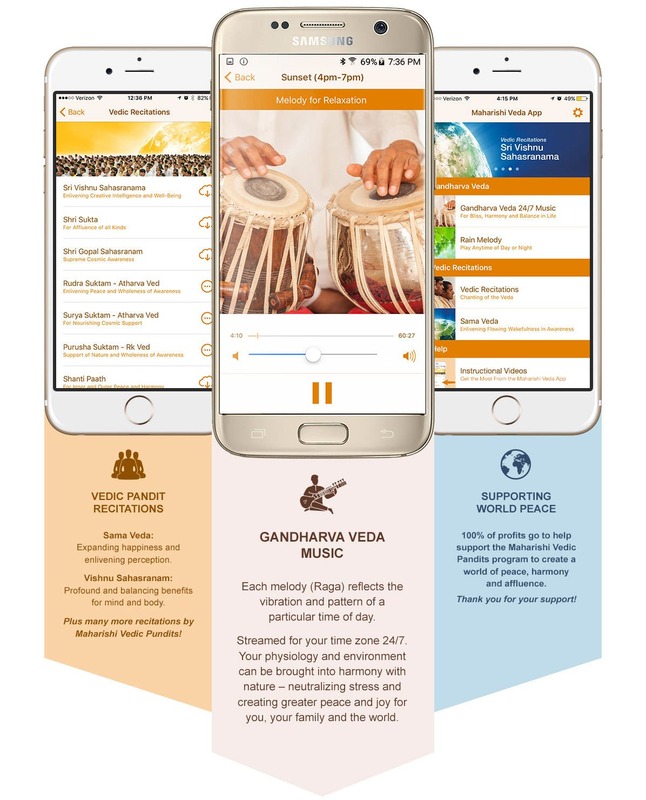 All profits benefit the Maharishi Vedic Pandits creating world peace. Android mobile phone, 4.0 (Ice Cream Sandwich) or higher. iPhone 5 or higher and iPod touch, 5th generation or higher, with iOS 7 or higher. 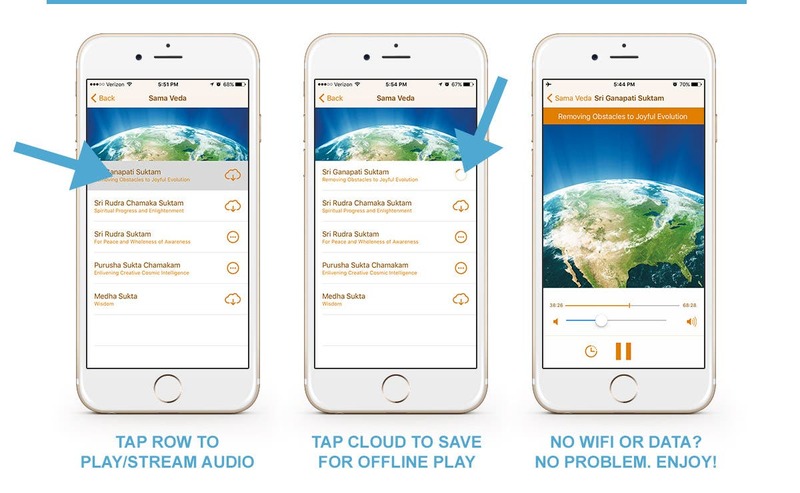 “Gandharva Veda resonates with the Laws of Nature that promote evolutionary trends in life.